Sell your car in 3 simple steps. Have questions? Click here. 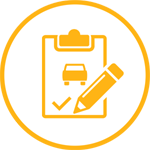 Fill out some basic information about your car on our website. You will get a market report with real price range immediately. 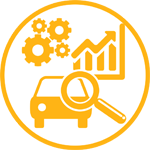 We'll inspect your car to provide you with an instant cash offer or consign it with us to get better offers from multiple dealers. Within 7 days or less, we'll give you the most competitive offer from our network of partnered dealerships. It's that simple! 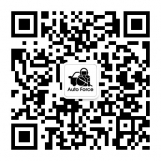 Auto Force provides high-quality cars to rent out for only $15-35/day. Special Discount is also available for long term rentals. Select your favourite car and timing to pick up and return. Either call us or make appointment online and we will get the car ready for you! Automatically generated price, free selections of good insurance as low as $5/day, absolutely no additional items. Easy, Clear and Safe! Short term rental please Click ‘Rent It Now!' button to check rates and make a booking! What make and model are you looking for?（Please choose from following options） Yes，I know the car model I want. No，I need advice. "Auto Force helped me sell my 2008 Acura MDX in just 2 days for more than private party price. I was one of their early customers. I didn't even have to wash my car. Auto Force took care of the entire selling for me for free." "Set-up a free inspection near my place and my RSX was sold same day. Auto Force gave me $1800 - more than I got from any craigslist offer. I wasn’t able to sell my car on craigslist for over a month. I also got a free ride back home." "Auto Force sold my Honda Accord 2011 in 4 days for $1800 more than KBB price. Auto Force is a great way for busy professionals to sell their cars and get private party price for almost no effort." Another happy customer was able to sell her car with Auto Force! If you need to sell your car fast and for a great value, call Auto Force today! We can make your relocation easier! 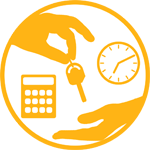 If you are moving to a big city and need to sell your car fast, we are always here to help!